Our deepest condolences to those loved ones looking for a memorial. We work with retailers who will earn and keep your business for generations. 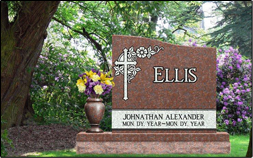 Let us introduce you to a Cemetery, Funeral Home or Monument Retailer close to you who will provide the information and support you need to make educated decisions about your memorial.